Franchise Business Opportunity for Florists and Home Businesses | Suspended In Time Inc. Tired of 9-5? Be your own boss and start your own business in a Flower and Memorabilia preservation business called Suspended In Time®. With our technology and success in this growing industry over the last 14 years we are expanding our business opportunities in your area. Whether youre interested in a Home Based business opportunity or an expansion to an existing business, or a florist, this opportunity is unsurpassed by uniqueness and affordability. 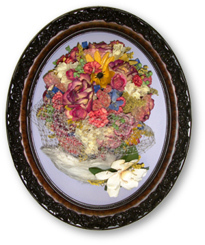 Suspended In Time® has developed a revolutionary process of preserving floral arrangements and memorabilia such as bridal bouquets, wedding gowns, anniversary, and funeral etc. This is not a Freeze Dry Method. This preservation process only takes an average of 3-5 days to complete. Learn how to start your own in home business. Its fun and rewarding to provide this service to brides, mothers-of-the-bride, interior designers, florists, birthday parties, wedding anniversaries, decorators and others who simply hate to see their most favorite fresh flowers go to waste. FLORISTS, dont send your customers to your competitors for the ability to dry and encase the very product you designed yourself. Turn that product into additional income. Those who are not in the floral industry can certainly meet the needs of florists and others to preserve and encase all their customers special occasion flowers. What makes Suspended In Time® Unique? Most business opportunities are labor-intensive or require a hard sell. Return on investment is, at best, a wish and a hope. 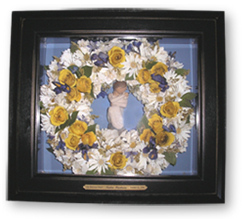 Our machines operate virtually unattended and produce floral products which sell themselves either as your own decorative creation or a clients sentimental keepsake. Once you make the decision to enter the Floral Preservation Business, there are a number of ways to get the word out. The product speaks for itself in its quality and beauty and people will want to talk about it. We provide step-by-step training in preserving and marketing methods and a full color advertising manual during the training sessions. The ability to dry flowers within 35 days is only available through the use of our revolutionary process. This is not a freeze-dry method. We are members of the Better Business Bureau. Check us out! Training is Three (3) ten hour days in Orem, Utah. We are limited to 6 trainees per session. Personal attention is given to every trainee. A trainee will make 3 finished encasements and pass the quality control inspection by the trainer. On-going support is included. Trainees are responsible for the costs of travel and housing for training. Favorable rates are available to dealers at local hotel/motel sites. There are no royalty on products sold, ever. There is a monthly, flat rate, licensing fee. This fee is dependent on your investment. Dealers are responsible for purchasing certain materials, supplies and equipment from Suspended In Time® Inc. Contact the corporate office using our franchise opportunity information request form. A representative will assist you in receiving more information, video presentations and written literature, or you may wish to visit the corporate office in Utah for a site visit so you can learn more about starting your own business. Suspended In Time is a professional flower preservation business. 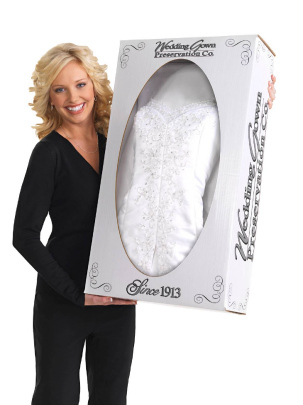 They can preserve your wedding bouquets, anniversary flowers, funeral arrangements , prom corsages, and more. You can also start your own business with Suspended In Time; they offer excellent dealership packages. They have a variety of business opportunities; from in home jobs to storefront businesses. This allows you to choose, are you the kind of person who likes to work from home, or the kind that likes to display your work in the front window of your business for all who pass to admire.